The case of an ambiguous food-borne pathogen causing an enteric infection is the first in our new series of clinical case files. Read the case study below and then use your microbiology expertise to determine which pathogen is causing the illness. Good luck! Lately, it seems like every time we pick up a newspaper, scroll through a news feed on our phones or watch the evening news, we learn about another food recall. Lettuce, cauliflower, beef, turkey and chicken have recently been in the limelight. Everywhere we turn we see new cases of food contamination, leaving us feeling like a run-in with contaminated food is inevitable. It’s the weekend and you are out with your family at a local restaurant. You order a house salad and a juicy burger and enjoy the rest of your night out. The next evening you are miserable and present yourself to the emergency room with nausea, vomiting, abdominal pain and bloody diarrhea. Prior to this incident, you have no history of inflammatory bowel disease, previous diarrhea episodes or recent contact with individuals with diarrhea. So, what could be the cause? 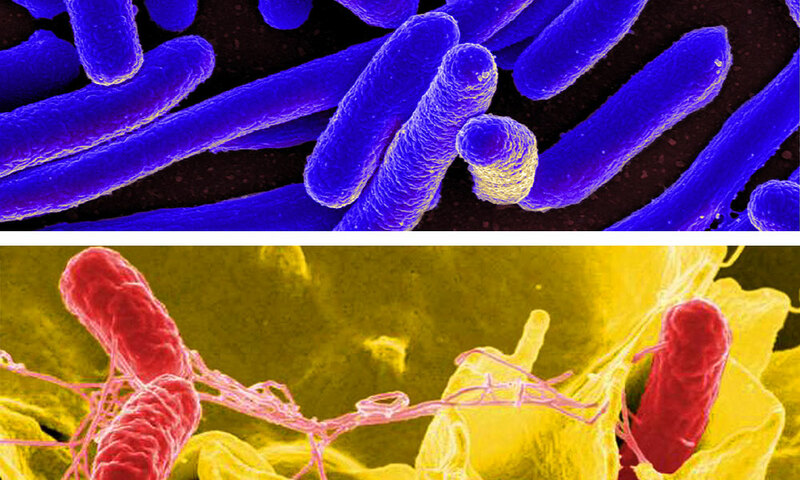 Which enteric pathogen is causing your illness? Read the results post to find out which strain caused the infection. See the results.